Thanks to support from Kidney Cancer Canada and the International Kidney Cancer Coalition, I had the chance to attend an in-depth medical meeting specifically on kidney cancer. This meeting hosted by the Kidney Cancer Association in the United States is expensive for us to attend, but offers great value that we can share with our patient communities. For those of you on Twitter, you may have seen some of the tweets and photographs of slides as the meeting was unfolding. Disclaimer: As always, these are my notes as a patient advocate. Any error or omission is entirely mine. If you have questions about how any of this applies to your specific case, please ask your doctor. If you have questions about what I’ve written here, please feel free to respond with a comment. Dr. Brian Schuch suggested that those diagnosed under 46 should be managed differently (they are “zebras not horses”). For example, rcc in younger patients might have greater propensity to recur in lymph nodes. Of course the risk of CKD (chronic kidney disease) is also higher given these patients have many more years ahead of them for it to manifest — so preserving kidney function is important. Note: in Canada, we have a Genetics Screening Guideline that applies to all kidney cancer patients diagnosed under age 46. Please see our website or get in touch directly for a copy. Surgery – Why is Partial Nephrectomy still Under-Utilized? Surveillance After Nephrectomy — How long is long enough? Dr. R. Houston Thompson studied two American guidelines (AUA and NCCN) to determine whether the surveillance recommendations capture recurrence following nephrectomy. Results indicated that one third of recurrences were missed. To capture 90% of recurrences, follow-up would need to be a minimum of 10 years. (More: JCO publication, currently in press). Unfortunately there are no standard of care options for non clear cell patients and now (as a group) these patients fare worse than clear cell patients. Research in non-clear cell rcc is significantly underfunded. For example, with chromophobe rcc, only 5-10% of patients develop metastases, but for those 5-10%, no one knows how to treat… We need consortiums to study these rarer subtypes such as the RKCCRC – Rare Kidney Cancer Clinical Research Consortium. In the meantime, all guidelines agree: the preferred option for non-clear cell is a clinical trial — may take some work to find a trial, but see below. Papillary – Dr. Laurence Albiges stressed that Papillary needs deeper reclassification. Type 2 is more challenging. Need to be aware of hereditary syndromes (HLRCC, HPRCC) and delve more deeply into papillary cases. Renal Medullary Carcinoma – Dr. Jianjun Gao — another rare subtype, almost exclusively young African Americans with sickle cell trait. Tough disease to treat. May be responsive to immunotherapy. Sarcomatoid — Dr. Ari Hakimi quoted that 5-8% of rccs had sarcomatoid pathology (usually clear cell but not all). Said the percentage of sarcomatoid differentiation may be relevant. Called to re-classify these tumours as a distinct entity. Clinical Trials: Look for trials with MET inhibitors, with immune checkpoint inhibitors, trials that accept ALL mrcc subtypes. Immunotherapy or TKIs as Front-Line Therapy for mRCC? Dr. Michael Atkins advocated for front-line immunotherapy since it meets patients goals and offers a chance of durable disease control or potentially a cure. Stressed that TKIs were still active after immunotherapy or immuno-oncology (IO). Arguing against: Patients need to be aware of the toxicities, especially with IO combinations saying “we know better how to manage TKIs” and that the “median patient” is still going to do better on TKIs. Notes to patients on treatment : we’ve long known that Grapefruit juice/fruit was to be avoided. Did you also know to avoid: Starfruit, Papaya, and Pomegranate as well? (This from Laura Wood, RN at the Cleveland Clinic). I think we’d all agree. Thanks for reading. Comments/questions welcomed. How do patients choose between medications for kidney cancer? New Global Survey — Open to kidney cancer patients of all stages. We welcome all Canadian patients to participate! Since 2006, a number of new medications have become available for kidney cancer. In most situations, patients have a choice between medications and make the choice that is best for them as an individual in consultation with their oncologist. Kidney Cancer Canada is participating in a global study to determine how patients take medication side effects into consideration when making treatment choices. Questions are designed for patients to consider hypothetical medications with different types of side effects for comparison. If you are a kidney cancer patient, we invite you to participate in this online survey. The survey takes about 20 minutes to complete and will be open until October 20, 2014. Please note: Kidney Cancer Canada has received a small grant from Pfizer Inc. in the U.S. for our assistance in customizing this survey for the Canadian context. For your participation in the study, Kidney Cancer Canada will receive a $20 donation for each respondent. All responses will be confidential. There is no obligation to participate. We look forward to sharing the results with you and comparing those results with other countries also participating in the study. To participate, please click here and select either Canadian English or Canadian French. What are the Unanswered Questions About Kidney Cancer? What are the Research Priorities of Canadian Kidney Cancer Patients, Caregivers and Clinicians? As a patient or caregiver who has had personal experience with kidney cancer, you are uniquely qualified to provide input to the Kidney Cancer Research Network of Canada. Please take a moment to provide your input. We appreciate your time and your valuable contribution to moving kidney cancer research forward. Thank you. Why Does Priority Setting in Kidney Cancer Research Matter? As you may be aware, kidney cancer is relatively under-researched in Canada and internationally. Also, the views of patients, caregivers and healthcare providers about what should be researched may not be reflected in the decisions about what is researched. Given scarce research resources, the prioritization of research studies of kidney cancer is even more important. The Kidney Cancer Research Network of Canada has now established a priority setting partnership for people with a diagnosis of kidney cancer. Our goal is to identify the top priorities for kidney cancer research. This is an important step in raising awareness of the issues and then in helping us secure the funds to start tackling them. What is Involved in a Priority Setting Partnership? This partnership follows guidelines set out by the James Lind Alliance, a not-for-profit organization in the UK. The underlying principle is to provide an equal voice to patients, their caregivers and the health professionals who care for them in setting research priorities about the disease that they live with every day. As a first step, we have developed a survey to gather input. This survey is available online at www.kidneycancersurvey.ca until November 30, 2014 for you to complete. The responses will then be sifted and sorted, a process which will be overseen by a steering group of patients, caregivers and healthcare providers. In this way about 30-40 unanswered questions will be taken forward for final consideration. The final selection of the top 10 priorities will take place at a workshop in February 2015. After that, the findings will be distributed to our key stakeholders (patients/caregivers and their healthcare providers) and beyond. We are working hard to ensure our survey reaches all those affected by kidney cancer. Please help us to do this by letting others know about this important project so that we hear the views of as many patients, caregivers and health professionals with experience of kidney cancer as possible. Please help us spread the message. If you are interested in finding out more about this work or participating in some way, please visit our website – www.kidneycancersurvey.ca . For many of us, September brings a renewed sense of the possible – of what we can achieve by working together. This fall, cancer advocates hope that our work to highlight the obvious gap between intravenous and take-home cancer drug coverage will lead to some positive steps towards universal coverage for ALL cancer medications. As we have all said so many times, whether a drug is fully funded for a cancer patient should not depend upon whether the drug goes into the vein or into the mouth – or whether it is administered in a hospital or a home setting. It’s time to level that playing field with a program announcement in the provinces that have two completely different systems for intravenous and take-home cancer meds: Ontario, Nova Scotia, Newfoundland and Labrador, New Brunswick, and PEI. March 2014: 35 cancer patient organizations, backed by oncologists and other healthcare professionals, came together to launch the CanCertainty Campaign – a campaign specifically targeted at resolving an obvious gap in cancer coverage. We recognized that this is not an issue for any ONE cancer, but an issue for ALL cancers and for every new cancer diagnosis in each of the five provinces that have lagged behind in providing access to new orally administered cancer therapies. On May 8th, CancerCare Ontario brought together a wide range of stakeholders to discuss the issues surrounding coverage of oral (and other take-home) cancer medications. The CanCertainty Coalition was represented at that meeting. We were pleased to hear strong consensus from oncologists and many experts working within the cancer system that this inequity must be resolved. We look forward to a full report from CancerCare Ontario to the Ministry of Health and Long-Term Care (and to our new Health Minister, Dr. Eric Hoskins) later this fall. When the report is released, cancer patients and advocates will need to ensure that their elected members all fully appreciate the urgency of rectifying this inequity. We cannot afford to have the report filed for future consideration, or pending further studies that would further delay equal access to cancer medications. Stay tuned! Atlantic: Nova Scotia, Newfoundland and Labrador, New Brunswick, and Prince Edward Island. The CanCertainty Coalition has been reaching out to oncologists, nurses, pharmacists, cancer groups and cancer patients and their families across Atlantic Canada in preparation for an awareness campaign that will launch this fall. While some have quietly said that specific Atlantic provinces will not consider implementing any sort of equity in cancer drug coverage until Ontario makes the first move, we are confident that the voices of Atlantic Canada CAN and WILL make a difference. Canadians living in Nova Scotia, Newfoundland and Labrador, New Brunswick and PEI should be outraged with what they are expected to pay out of pocket if cancer strikes – especially given that Canada’s highest incidence and mortality rates are in Atlantic Canada. A cancer medication that costs a patient $0 in BC, AB, SK, or MB can result in deductibles in the tens of thousands of dollars in Nova Scotia. A family with a pre-cancer diagnosis total household income of $120,000 ($85,000 net) would be expected to pay $23,400 up front as their deductible, and then a partial cost for the next $17,550 PER YEAR. These unexpected costs hit at a time when the patient is in a crisis from the cancer diagnosis and may need time of work due to treatment side effects. How do the other provinces fare? In Newfoundland and Labrador that “pay up front” deductible would be $8,500. In New Brunswick, if the cancer drug is listed by the province, the newly implemented drug plan limits the premium to $2,000 per person per year, along with a $30 copayment per prescription. In Western Canada, provincial Health Ministries have long since recognized that cancer is cancer. Treatment is treatment. IV and take-home cancer drugs are funded equally. For the same drug that costs a NS family $23,400 as a deductible, patients in BC, AB, SK, or MB would pay what they would pay for intravenous – $0. **Special Note: We are particularly interested in hearing from patients/caregivers and families in Atlantic Canada where cancer drug costs are the HIGHEST in Canada. Please get in touch so that we can address this situation. Thank you. As always, your feedback and comments are most welcome! We have not forgotten that there are other cancer drug access in other provinces! Feedback on those welcome too. Welcome to summer in Canada! 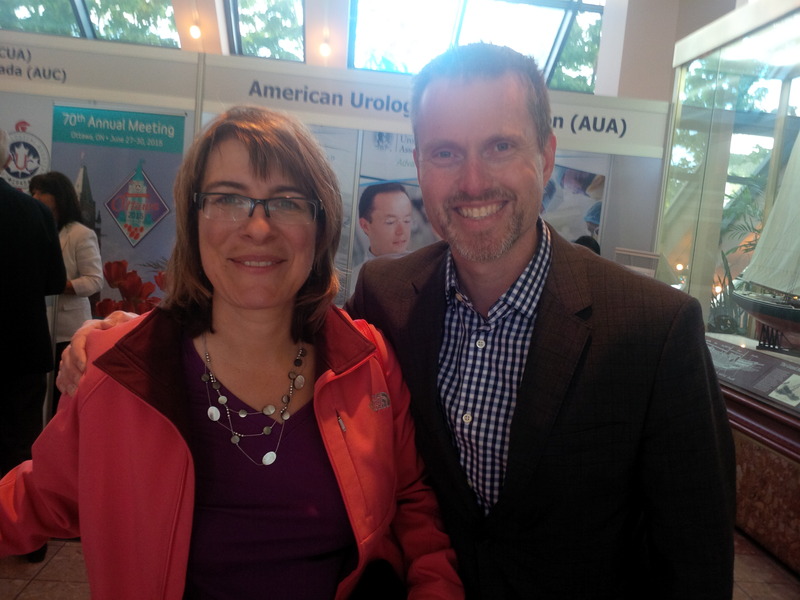 As Director of Medical Relations for Kidney Cancer Canada, I have just returned from St. John’s, Newfoundland where I attended the Canadian Urological Association (CUA) Conference. During my visit, a friendly local asked me if I was in town “for that Urine conference”? Indeed, there were 800 of us in town studying the latest in Urology including urological cancers — prostate, bladder, testes, and kidney. I had the opportunity to attend many of the sessions for Kidney Cancer Canada, along with our new Board Chair, Dr. Ross Klein who just happens to live in the beautiful city of St. John’s. Here are some of the medical highlights from sessions relating to kidney cancer. Please note that these are written from a patient perspective. As always, if you have questions about your own case, please ask your urologist or oncologist. Dr. Tony Finelli (UHN) suggested that it is time to shift the current paradigm towards more routine biopsy for small renal masses. He cited that biopsies have proven diagnostic in 90% of cases (n=476). Biopsies have been 100% accurate in determining benign from malignant tumours; and about 65% concordant with final grade and subtype of tumour. Some discussion about minimum size to biopsy (not worthwhile if less than 1 cm). Overall, the goal here is to reduce the frequency of surgeries for patients who have a suspicious mass that turns out to be benign and/or appropriate for active surveillance. (In the past, up to 20% of suspicious masses removed have turned out to be benign. While it’s great to hear the “good news” that a tumour is benign, it’s better to hear that before you lose part or all of a healthy kidney that you might need later in life.) Risks of renal biopsy are extremely minimal — should be discussed, but new techniques make the procedure safe and useful for expert management of smaller tumours. Many presentations drew data from CKCIS, now accumulating data from 15 centres from 6 provinces across Canada. This data is proving extremely worthwhile to understand real-world treatment decisions, outcomes, and trends. For example, Dr. Karim Marzouk (Halifax, NS) reported on recurrence after “curative surgery” citing that 73% of recurrences had been diagnosed by routine imaging (very few were symptomatic). Tumour size and presence of sarcomatoid features were the only significant predictors for recurrence rates. (Message to patients here is to maintain your vigilance with regular surveillance per the CUA Guidelines for Follow Up after Nephrectomy — speaking of which, these guidelines were just updated this month and can be found here, by Dr. Ricardo Rendon et al. Note: If you’ve made a donation to KCC, pat yourself on the back — your donations have gone to support this great “information system” that will continue to shape the future of kidney cancer treatment in Canada and beyond. We are hoping to fund new projects using this great information resource. If you can help with a donation, please take a moment to do so. To donate online, click here. What is the Role for Nephrectomy in the Presence of Metastatic Disease? Approximately 25% of kidney cancer patients are diagnosed from the outset with stage IV or metastatic disease. Dr. Rod Breau (Ottawa) discussed data showing the prevalence of nephrectomy is decreasing among patients with metastatic disease. In the past, data showed some benefit in removing the kidney mass (possibly through decreased immune suppression). However, rationale for cyto-reductive nephrectomy has changed in the era of targeted treatments. A clinical trial (SURTIME) is recruiting patients so that we can better answer how to treat patients who are already metastatic at time of diagnosis. Patients will either have a nephrectomy then sunitinib, or sunitinib first, then nephrectomy, then back on sunitinib. Another trial testing one of the new PD-1 drugs before nephrectomy will be up and running in Canada before the end of 2014. Other ideas presented for decision-making were to look at the total volume of tumour and proceed if the surgery could remove 90% of the tumour volume. Also suggested to look at the Heng Criteria (if over 3 criteria present, advisable not to do surgery), and also the patient’s age if over 75 years due to higher risks of surgery. Dr. Phil Bedard (PMH) presented some of the progress being made towards identifying mutations across many types of cancers noting that the same genes are seen in different tumour types. Two major clinical trials are underway and recruiting patients (IMPACT and COMPACT). Both are molecular profiling trials. IMPACT is available to UHN patients, but COMPACT is open to patients from other community hospitals (but does require one visit for enrollment, blood, genetics discussion). About 1600 patients are currently enrolled with only 80 of those from the “GU” cancers to date. Patients can ask about these trials if they have: advanced disease, good performance status, and “tissue available” somewhere (does not require fresh tissue). Discussion centered around what can be done with the “omic” data – in some cases, the data has suggested a treatment pathway that might not have been considered otherwise. Heads-up for the future that this might mean treating kidney cancer with “another-type-of-cancer” drug – which of course brings its own access issues. In the short term, these trials are worth asking your oncologist about. Thank you to our fantastic medical community who were in sessions right up to and including Canada Day. We are privileged to have such a dedicated team working on kidney cancer and committed to moving the field forward, not just in Canada, but across the world. 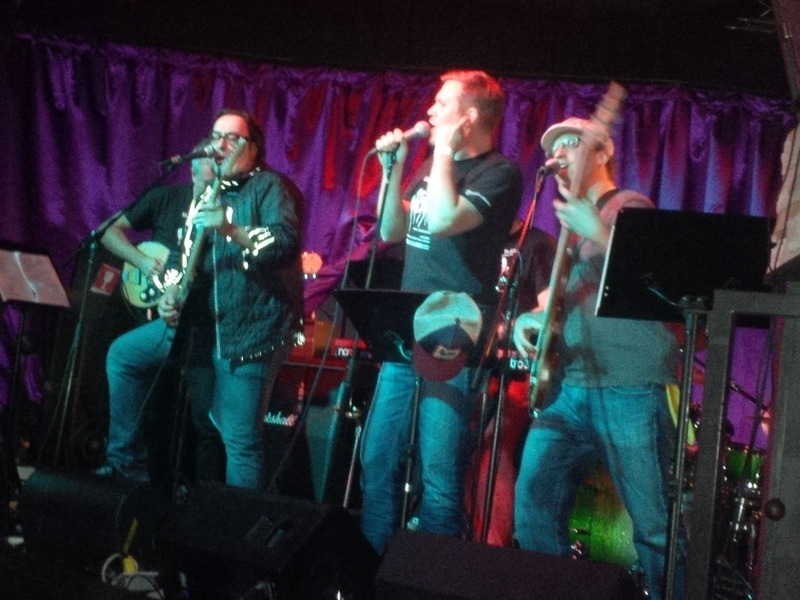 And lastly, just so you know that urologists really are a fun bunch of people, here’s a shot from the all-Urologist band called “The Void” playing some amazing music… but let’s hope they keep their day jobs too. What has a provincial election got to do with cancer? Greetings from Ontario where we are in full election mode. Signs are up on lawns. Eager candidates are knocking on doors. So, with apologies to those living in the rest of the universe, I hope you won’t mind me sharing some personal thoughts about elections, kidney cancer, and where they overlap. Election day in Ontario is Thursday, June 12, 2014. Please take the opportunity to raise the issues of kidney cancer patients to the person knocking on your door, at local events, and in your local community newspapers. Below are some key points for elected officials in Ontario to know and understand. Please share them in person, by email or via social media with your local candidates. Almost all kidney cancer drugs are oral, take-home chemotherapies. Unless the patient has private insurance (and many don’t have enough coverage even if they do), or are over 65, the family must submit to a complex reimbursement system through the Trillium Drug Plan. Trillium is failing Ontario’s cancer patients both through delays in access and costly deductibles that many families, young people, and others simply cannot afford. Ontario has fallen behind the four Western provinces and Quebec in that it does not equally fund IV and take-home (e.g., oral) cancer medications. IV treatments are fully funded. Oral cancer treatments fall outside of Cancer Care Ontario’s funding program: See www.cancertaintyforall.ca for details! The diagnosis of kidney cancer can be overwhelming and the additional stress caused by financial co-pays, paperwork and delays is an unnecessary and unfair burden. Our goal: from diagnosis to “cancer prescription filled” in one seamless process! Once clinical trials are complete, manufacturers of new medications submit to Health Canada for approval for use in Canada. Once Health Canada approves a drug for kidney cancer, it can take up to TWO YEARS for the province of Ontario to list the drug on its provincial formulary. Processes beyond Health Canada include pCODR (pan-Canadian Oncology Drug Review) and now pCPA (pan-Canadian Pricing Alliance) and then the provincial agreements to list — listings which include strict eligibility criteria that can (and often are) different in each province. Kidney cancer patients need assurance that Ontario is committed to having a leading cancer agency and best-in-Canada outcomes for cancer patients. How do you share these messages? At the door: Candidates will be knocking on doors to connect directly with voters, this is a great chance to talk about what matters to you and your family. 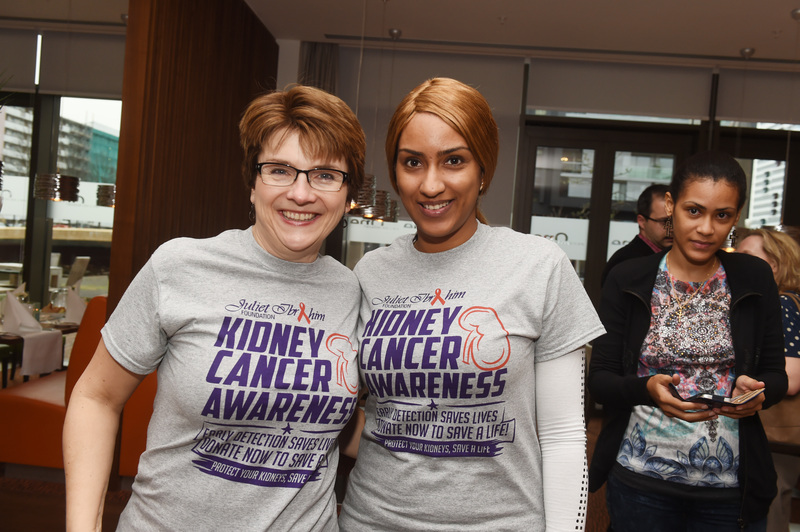 At events: Public events are a common place to find candidates, you can talk to them there about issues affecting kidney cancer patients and cancer patients in general. Social media: If you are using Twitter and/or Facebook, connect with your local candidates and the party leaders on those social networks and engage in a a conversation about these issues. Remember, this is an opportunity to raise awareness and educate candidates across Ontario. This may be the first time they are learning about issues in our cancer system, so please be respectful — many will have no idea of the issues. Please feel free to direct them to the video on the CanCertainty website. Every conversation that you can have with potential government decision makers takes us another step closer to making change for kidney cancer patients – and those diagnosed in the years to come. Thank you. We look forward to your feedback. Please feel free to share with us the interactions you have. We’ll look forward to candidates saying that they’ll stand up for cancer patients when they get elected. And then we’ll hold them to it. 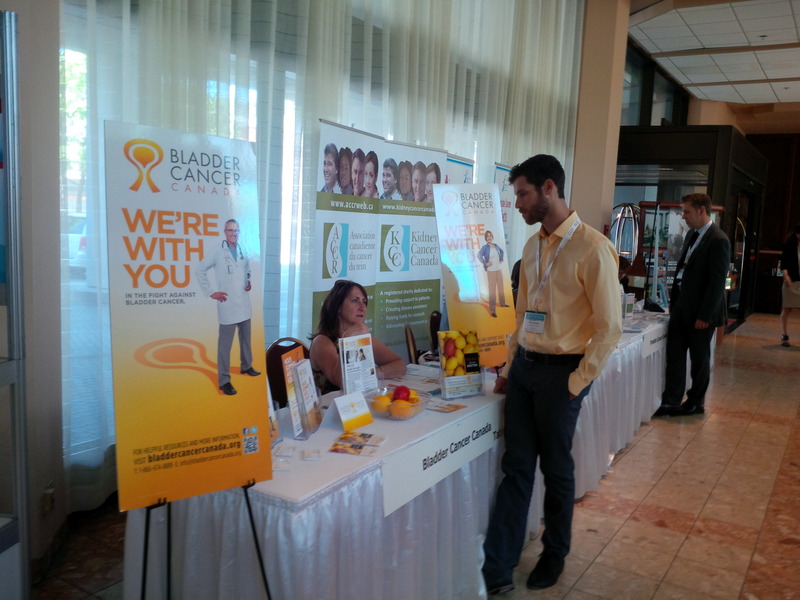 With this blog post, we’re happy to share some highlights from the 4th Annual International Kidney Cancer Coalition (IKCC) Conference. 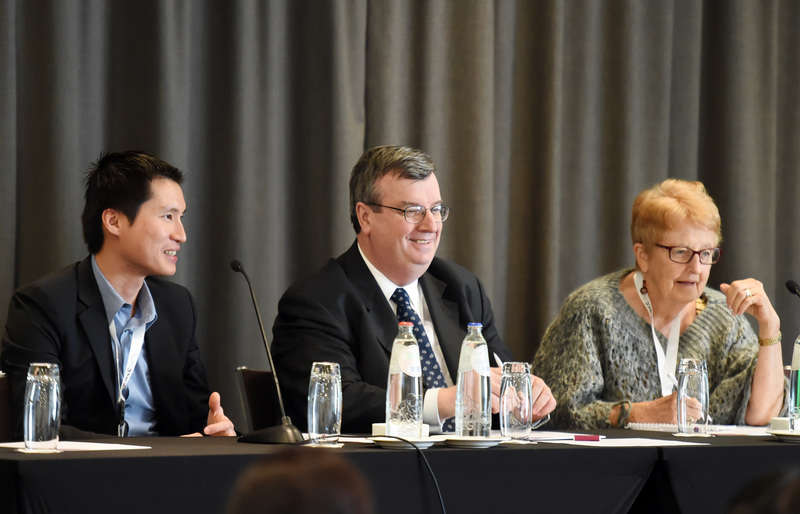 This conference included delegates from over 20 countries, 6 continents who came together in Amsterdam from April 3-5th 2014 to collaborate, share ideas, and move some international kidney cancer projects forward. Note: The IKCC based in Frankfurt, Germany is a network of kidney cancer groups worldwide. The IKCC is independently funded from Kidney Cancer Canada. Two delegates from KCC were invited to attend: Deb Maskens (Co-Chair of the IKCC) and Catherine Madden (Executive Director of KCC). Dr. Peter Boyle, Epidemiologist: Globally, only 9% of ‘cause of deaths’ are recorded by a medical professional. Our statistics of incidence and mortalities only reflect what we know. In 1944, the 5 year survival for breast cancer was only 25%. In 2004, that survival rate had jumped to 76.5%. However – and this is important for kidney cancer – those gains were not from a single magic bullet, but from a series of small, incremental steps. We need to be very careful that our healthcare reimbursement systems don’t stop us from achieving what might look like a small step to them. Kidney cancer research needs focus. The mortality rate for kidney cancer has not improved. Incidence of kidney cancer has been steadily increasing since 1975. Prevent what can be prevented. Treat what can be treated. Cure what can be cured. Palliate whenever palliation is required. Dr. Anne Merriman, founder of Hospice Africa Uganda, described the situation for cancer patients in Africa saying “It’s bad to have cancer. It’s worse if you’re poor.” In Africa, less than 5% of patients can get chemotherapy or radiation. Radical solutions are required. Currently only 15 of 56 African countries have access to oral morphine for pain control. For her work easing the pain of African cancer patients, Dr. Merriman has been nominated for a Nobel Peace Prize: http://www.hospiceafrica.or.ug/ Dr. Merriman’s talk was inspiring to highlight the work that ONE person can achieve in a lifetime. 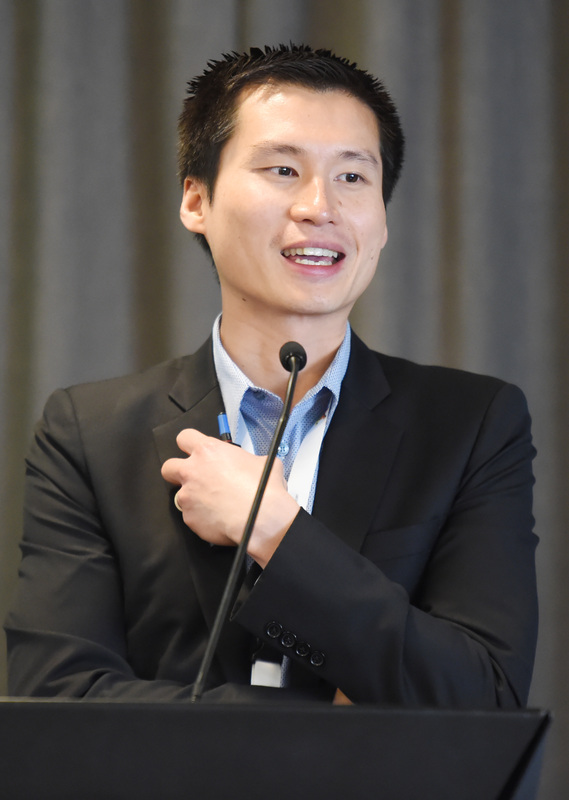 Our next distinguished guest was no other than our “own”, Dr. Danny Heng from Calgary, Alberta who presented the global picture for kidney cancer citing 208,000 diagnoses around the world with higher incidence in North America, Australia, and New Zealand. His international database is now tracking some 3700 patients from 26 institutions in 19 countries. International collaborators have developed good systems for overall prognostic markers, but not for prediction on individual cases: we’re dealing with “just medians” – half will live longer, half will live shorter, and many live much, much longer. a) Immuno-oncology, both in vaccine trial (AGS-003) and PD-1 inhibitors (nivolumab and others, both alone and in combination). Patient groups (including KCC) are pushing very hard for more availability of these agents. b) New agents such as cabozantinib (METEOR study) with particular interest in effect on bone metastasis. We look forward to this study reporting at a future ASCO conference. c) Continued focus on finding predictive bio-markers for kidney cancer: PBRM1/BAP1 are possible markers that may help predict treatment efficacy. PDL1 expression may be predictive. Bottom line is that we need to study more patients through clinical trials – take blood samples, preserve tumour samples, and ensure this research moves forward. Other diseases (lung, melanoma, colorectal) have known biomarkers that help determine what treatments are most likely to work. Kidney cancer does not have anything like this – yet. Huge awareness campaign in the UK: “Be Clear on Cancer” focused on getting the general public to understand that “blood in pee”, even if just once, was cause to visit the doctor. This campaign was hugely successful through television advertising. See commercials here. Organizations like Kidney Cancer Canada need ambassadors and need support – not only for important research projects, but also for patient education events, support, phone bills, and materials. If you can put us in touch with people, companies, organizations that can support our cause, please let us know! A full conference report will be posted in the coming weeks. In the meantime, several international delegates have posted photographs and conference reports. Thanks to Joyce Graff for this summary and links here. It’s also great to be home, back in Canada. Questions and Comments welcome as always!